Depression had been replaced with unprecedented prosperity. America had been spared the devastation and ravages of war that had decimated European cites during WWII. By the late 1940’s a tsunami of societal change was unleashed as Americans in record numbers moved from farms and rural communities and urban areas, and from the city to suburbs that sprawled into the countryside. Between 1950 and 1960, the farm population dropped from 23 million people, 15% of he population, to 15.6 million people. During the same period, 83% of the population shifted from rural to suburban residence. In New York City, 1.5 million people left the city for new suburbs on Long Island and in New Jersey. Orange County in California, a vast agricultural paradise before WWII, was transformed during the 1950’s as more than 500,000 bought homes in suburbs that were erasing avocado farms and orchards. By 1960, an estimated 60 million people lived in suburbs. 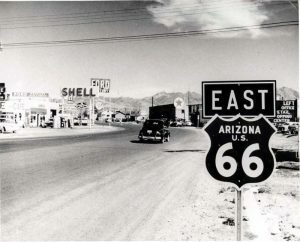 Traffic flowed west along Route 66 in a torrent as people moved to California from the Midwest and Northeast in record numbers. Within ten years California leaped past New York as the most populous and wealthiest state. The building of suburbs were transforming cites everywhere but in Florida, and Phoenix ares, the growth was particularly dramatic. Fueling the growth of the suburbs was dramatic population growth, VA and FHA loans, low interest rate mortgages, and the growth of the rural road system, including interstate highways. A pioneer in he development of “suburbia” was William J. Levitt. As Henry Ford transformed the auto industry by applying the assembly line and time management studies, Levitt did with the housing industry. He originated the innovative use of standardized building plans, prefabricated panels, and an assembly line method of building houses that included landscaping and painting use just seven colors. Increasingly suburbanites personalized their look alike homes with exterior touches such as rear decks, custom barbecues, and swimming pools. Within five short years the swimming pool that had previously been something found at the homes of the rich and famous, or luxury resorts, had become a symbol of American suburbia. In 1940, the first Gunite application pool was built. This dramatically lowered the cost of pool construction, another contributing factor to the increase in swimming pool popularity. 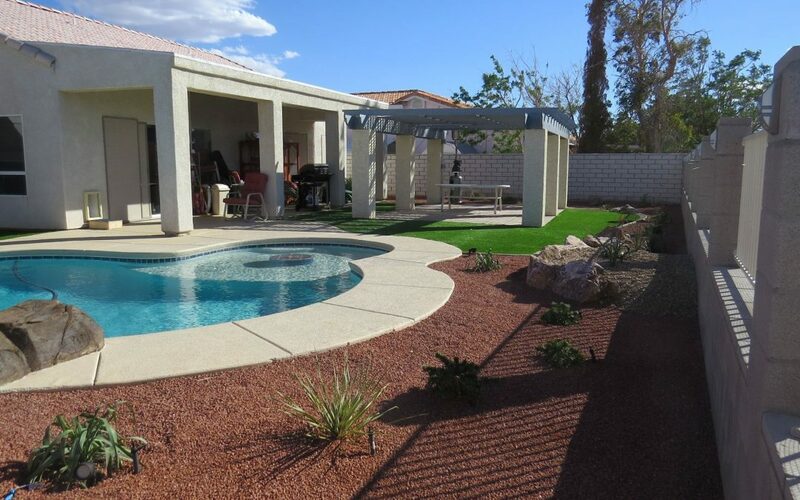 By the mid 1950’s, companies such as Anthony Pools, Sylvan Pools, and California Pools launched to meet the demand were booming and special finance programs for pool construction made the decision to add a people even more popular with homeowners. Indicative of the growth of the swimming pools business was creation of the National Pool and Spa Institute that provided a venue for builders and manufacturers to exchange ideas and solutions to problems. Then In the late 1950’s, Esther Williams, the first vinyl-lined swimming pool manufacturer, began manufacturing a variety of models. On the heels of this dramatic development the one-piece fiberglass pool was introduced. Today the swimming pool, especially in the southwest, is more popular than ever. Then, as now, the key to getting the most from your investment is retaining the services of professionals such as Baron Services for maintenance and repairs.